NEW: VT Hypercube Phase-3 ... Dec 9/10, 2010 ... the most radical hypersonic orchestration ever!! Kartago Inc. is a California incorporated small business entity. Kartago Inc. is a purveyor of Propulsive and Environmental Technologies. Kartago Inc. promotes Real Estate Management and Development. Kartago Inc. retains copyright and proprietorship to the contents, logo and identity of www.kartagoinc.com, www.polarequilibrium.com, www.syncool.com and www.graphiteglobe.com. "CRYSONIX" www.crysonix.com (patent pending) is a Kartago Inc www.kartagoinc.com manifestation that is germane to cryogenic shockwave augmentation and hypersonic piercing. CRYOGENIC shockwave augmentation and HYPERSONIC piercing are conversely exclusive and original Kartago Inc promotional and intellectual ware. Kartago Inc claims original and exclusive domain to cryogenic shockwave augmentation, hypersonic piecing, derivative hypersonic mobility platforms and SSTO shuttle derivatives. A reversible aerospace plane includes an air intake at a first end of the aerospace plane, at least one heat exchanger disposed in the aerospace plane and an engine at a second end of the aerospace plane, wherein the aerospace plane is configured to accelerate in a first direction and configured to glide and land in a second direction, wherein the second direction is substantially in a reverse direction from the first direction (US Patent 8,215,589, July/10 2012). Kartago Inc claims priority to the MICRORBITER©. All Rights Reserved!! Ever since October/14 1947 when mankind went supersonic the 1st time the quest for supersonic and hypersonic flight has been frustrated by the phenomenon of rampant shockwave propagation and propulsive deficiency at speeds in excess of Mach 3. The quest for orbital insertion and space exploration therefore relied on multi-stage rockets to lift the acceleration modules ASAP out of the atmosphere in order to accelerate to orbital velocity without shockwave impediment. This resulted in massive rocket launching platforms simply to escape the atmosphere that is seeded with an abundance of oxygen that constitutes 60% of the takeoff weight of multi-stage rocket machines. This is the route the 1st satellite was launched in 1957, man went to the moon in 1968, how the Space shuttle functioned and how the Space station is being serviced. The price of multi-stage rockets is however prohibitive as a 30,000lb rocket machine is required to place 1,000lb payload in orbit. Although SpaceX has succeeded in taking the myth out of rocket science the cost of orbital payload remain prohibitively restrictive. The new breed of space tourism rocketry (Virgin Galactic "SpaceShipTwo" and XCOR's "Lynx" http://www.bbc.co.uk/news/science-environment-22344398) does not have orbital launching capacity however and only provides an up/down pogo ride to the brim of space (a grandiose Disney ride). The age of space commerce requires a gigantic leap in propulsive synergy and reentry dynamics. The foundation to the shockwave enigma is that given the threshold of orbital insertion at Mach 24, Mach 3 constitutes only 1.56% (viz. (3/24)^2x100) of the necessary kinetic energy to go orbital. A Mach 3 (or for that matter a Mach 5 hypersonic platform) hypersonic launching platform will generate only 1.56% - 4.34% of the necessary kinetic burden to go orbital. Conformal air breathing SCRAM launching platforms therefore constitute a galactic non-event. In order to rationally suffice as a launching platform, a hypersonic aerospace plane must be capable of generating + 50% of the orbital kinetic energy (viz speeds in excess of Mach 17). The challenge therefore has been devising means of kinematic shockwave conversion and hypersonic SCRAM combustion in support of atmospherically driven speeds in excess of Mach 15. Kartago Inc consequently initiated a quest for hypersonic propulsive means that led to the Virginia Tech program in 2010 that resulted in the 1st ever rational means of shockwave abatement and hypersonic oxygen liquefaction via in the cryogenic domain. With the initial Grand Forks (1988) feasibility analysis as foundation http://www.graphiteglobe.com/pdf-files/CRX2_GrandForks-Sept88.pdf the focus shifted to the Aerospike vortex management methodology (US Patent #6,213,431) and thereafter the Uturn reversible aerospace plane methodology (US Patent #7,344,111) as a function of optimality. With the Uturn in place and as building block the rules of cryogenic shockwave augmentation were succinctly developed at the aerospace and Oceanographic labs at Virginia Tech, Blacksburg VA (and reported at the 24th Space Cryogenics Workshop at Coeur D'Alene in June 2011). Means of hypersonic combustion was subsequently resolved separately in Los Angeles through the course of 2012. With the liquefaction (#1) and propulsive elements (#3) of the CRYSONIX© platform [[ transformation (#2) became apparent that led to Phase-5 of the Virginia Tech program. Phase-5 testing has been set for May 2013 (DONE). The headline results will be reported to the 25th Space Cryogenics Workshop in Girdwood, Alaska June 2013. With the building block in place the age of the MICRORBITER©, the world 1st hypersonic orbital launching platform, is inching towards reality. With the Apollo epic rapidly withering into a distant fable, man's next quest will most certainly entail the planetary system, prior to setting off into deep space. However, with orbital means prohibitively expensive and limited to an elitist pool, space travel is set to remain a distant myth. The development of innovative propulsive/ shuttle technologies and support systems will hence dictate man's exploration into space -- with air breathing rockets, liquid air & spiked aerospikes cues to the future. Space Shuttle "Atlantis" is poised to make the FINAL Shuttle flight, formally ending the 50-year APOLLO era as to beating the Soviet Union to the moon. Whereas rocketry and space initially was a government dominated enigma of science and secrecy, private enterprise is now the master of the art in the USA with Orbital Sciences, SpaceX, XCOR and Virgin Galactic the leading players. However with the classical rocket engine the primary means of propulsion, Orbital Sciences, SpaceX, XCOR and Virgin Galactic remains slaves of the propellant demon whereby each and every grain of rocket fuel must be transported from terra firma into the troposphere to accelerate into orbit above the atmosphere. Although Virgin Galactic has developed an innovative winged launching platform, the mission is limited to an extreme pogo ride. To beat the propellant bogey means of aspiration and liquefaction of atmospheric oxygen is a necessary orbital requisite. In order to liquefact and aspirate atmospheric oxygen the destructive force of shockwaves must be managed. 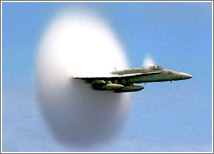 Shockwaves are the consequence of extreme compression of atmospheric air at supersonic/hypersonic speed whereby pressure is converted into extreme heat (viz. shock discharge) in the absence of means to manage kinetic transformation regressively. 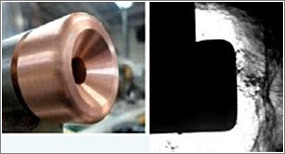 After extensive research and computational analysis over an extended period Kartago Inc found the solution to shock formation at hypersonic speed by merging liquefaction and compression into a one-step process within the confinements of an infinite boundary layer with a cryogenically chilled ("superconductive") nosecone (patent pending). A reversible aerospace plane includes an air intake at a first end of the aerospace plane, at least one heat exchanger disposed in the aerospace plane, an engine at a second end of the aerospace plane, wherein the aerospace plane is configured to accelerate in a first direction and configured to glide and land in a second direction, wherein the second direction is substantially in a reverse direction from the first direction. The evolution of mankind has been dominated by an array of events beyond its control that shaped the human being mentally and physically into the format of homus sapiens as we are today. One of the most compelling forces has been that of aeroelasticity and the consequential speed of sound and the associated phenomenon of lightning and thunder. Now for the 1st time ever means of containing speed of sound and associated aeroelastic forces will be demonstrated. Beating the sound barrier will open new doors and machines for mankind ...the ultimate orchestration!! 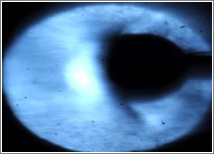 POSTSCRIPT: On July 30, 2010 mankind for the first time ever transformed a hypersonic blast into a (superelastic) cryogenic pressure wave that precipitated liquid O2 on tap, opening the door to a new era of orbital convergence. Enter Kartago Inc and the Uturn <SSTO> aerospace plane. POSTSCRIPT-2: On Sept 2, 2010 Kartago Inc replicated the hypersonic piercing feat, upping the ante to Mach-5 at -210C, rendering (frosted) O2 in lieu of blistered ceramics. A new breed of SSTO has been born. 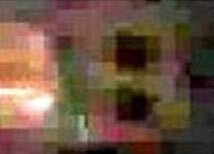 In accordance with a CNN report Feb. 7, 2011, NASA appears to be running numbers on numbers (viz. appropriating funding without a foundation) as to a renewed endeavor for the USA to get back into space. The age of the rocket was spawned by the V2. The inventors of the V2 hence created the Saturn (the mightiest machine ever built) and conquered the moon. The V2/Saturn model became the mother of rocketry. Edmund Hillary conquest of Everest in 1953 started as a 400 man armada. However Babu Chhiri Sherpa conquered Everest subsequently SINGULARLY in 21h without bottled oxygen. Although the Shuttle was intended to streamline access to space, it evolved into a behemoth that negated innovation. SpaceX subsequently demonstrated the virtue of novelty and thrift, however its capacity and means are limited. The answer to the enigma of space is being mirrored by the quest of Everest as to the explosive burden of bottled oxygen and subordinate logistics. The challenge for NASA to get back into space (big time) mandates (1) untangling the Saturn enigma of exhaustiveness (viz. transporting 100% of the requisite propellant from ground zero into space) and (2) reinventing the art of propulsion and propellant management. Whereas hypersonic air-breathing means has been elusive and deemed irrelevant to date due to the explosive impact of the shock wave barrier, the Crysonix piercing phenomenon opened the door to heavy lift access to space via oxygen liquefaction and shock wave suppression means. As an example a 900,000lb thrust (SpaceX) Falcon-9 class booster with a “CRYSONIX” driven 2nd stage would be able to place 50,000lb into low earth orbit vs. the (as is) capacity of 20,000lb of the Falcon 9 in its native form. The US taxpayer and (US) national security interests will hence be best served if NASA embraces the private sector and entrepreneurial enterprises as to back-to-space building blocks prior to sequestering taxpayer funding.